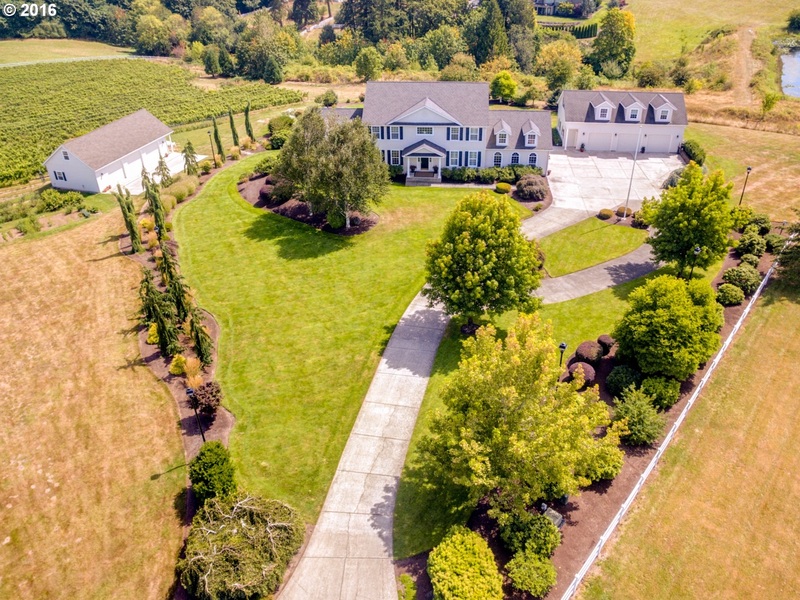 Stunning 5 acre property with vineyard in Rolling Hills! Gorgeous open concept floorplan, gourmet kitchen, tall ceilings and hardwood floors. Two fireplaces and a huge master suite. This home features 5 bedrooms, a den, office and separate living quarters with kitchenette, full bathroom and bedrooms with separate access and a patio. Parking for 8+ cars and a vineyard with outbuildings ready for your own wine business. Amazing views!